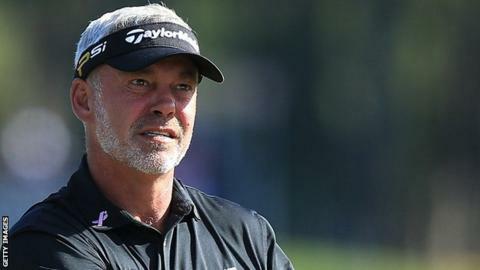 Darren Clarke stayed nine shots off the pace at the Thailand Golf Championship after a three-under 69 in Saturday's third round at Chonburi. The European Ryder Cup captain carded six birdies and three bogeys in the Asian Tour event. Dungannon player Clarke is seven under going into the final round at the Amata Spring Country Club. France's Clement Sordet fired a 63 to lead on 16 under and two shots clear of Welshman Jamie Donaldson.